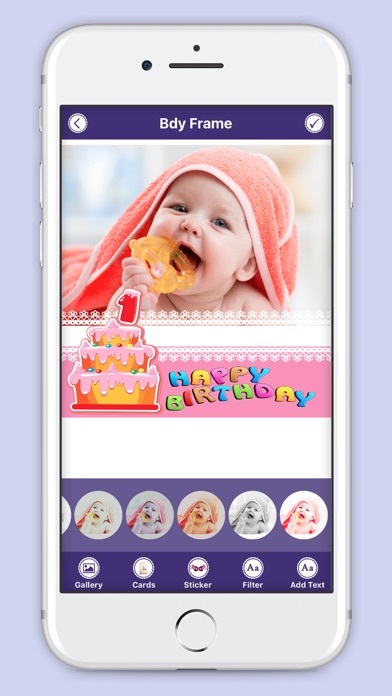 Enjoy Birthday with this amazing Happiy B'day Photo Frame app with best HD Birthday cake which you like it more..! Write name of your friends, relatives and dears name on birthday Frame. Let's create many cute and beautiful photos for you and your friends on a very special day, the birthday. Happie B'day Photo Frame Features : - Select Birthday frame from the collection. - Free and Easy to use & User Friendly interface with New design. 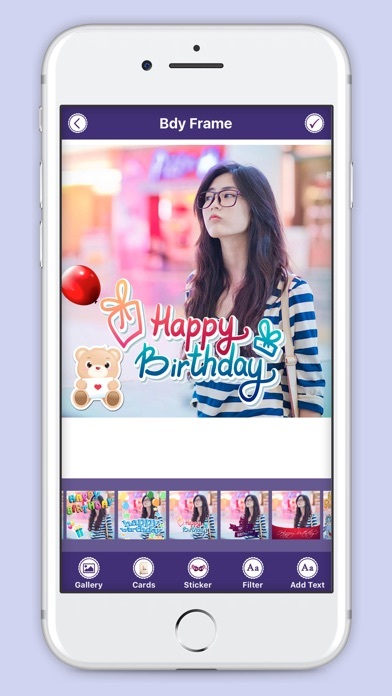 - Two Finger Gestures to ZOOM your photo and adjust in the Anniversary frames. - Add Multiple Text With New Focus N Filter Font Style. - 50 + Font Style, Name On Photo Frame - New 35+ Amazing Love Sticker, Birthday Sticker. - 45 + Amazing New HD Birthday Photo Frame. 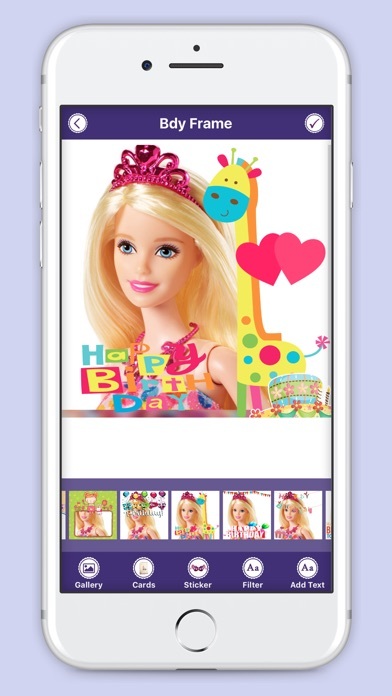 - Share your Birthday Photo frame with your friends or family members via social media.